The vagaries of the weather were nowhere more in evidence than with this year’s asparagus crop. Compared to last year’s late start, this spring has seen the vegetable ready for cutting by mid April – a good month ahead of last year. And the bounty is still in full flow. 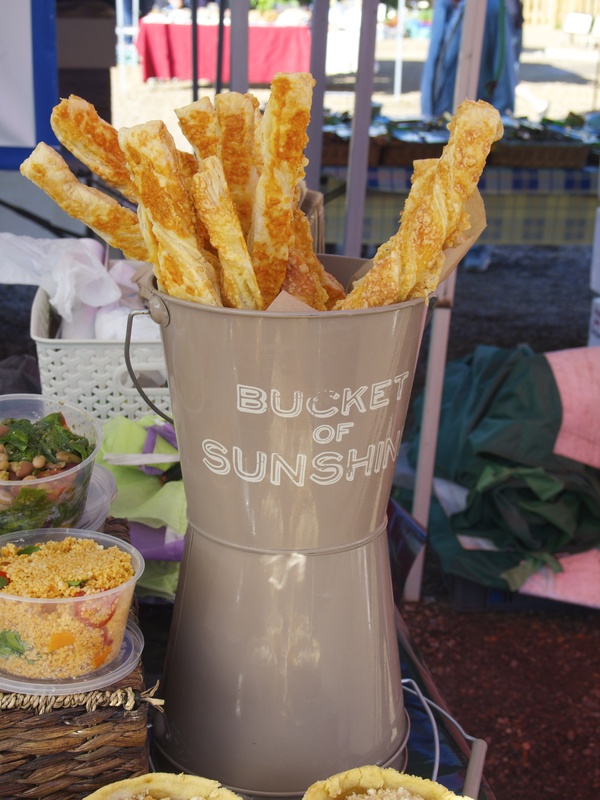 Try it traditionally steamed with melted butter or griddle the spears on the barbecue brushed with olive oil until tender then scattered with shavings of a sharp hard cheese such as Lord of the Hundreds or a tart fresh goats cheese crumbled over. 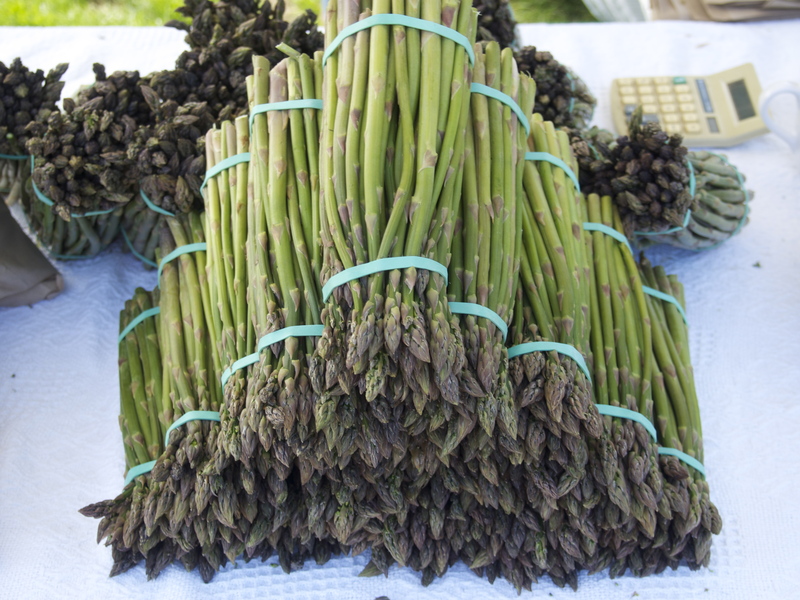 But as there is asparagus in plenty, try the spears in soups, vegetable gratins or make into a perfect risotto with the first tender broad beans (freshly picked little pods can be enjoyed whole) and fresh green peas. Other veg to look out for are crisp radishes, spring onions, spinach, and of course new potatoes. There are also early cucumbers, runner beans, spinach and courgettes, alongside all kinds of salad leaves now in season. It’s also the ideal time to plant out ‘ready to plant’ herbs and summer bedding plants. The long days and the warmth also herald the start of the great English soft fruit season with strawberries in abundance – one of the great advantages of local markets is the chance to try some of the finer flavoured varieties rather than the more robust berries grown to withstand the rigours of the supermarket supply chain that may not have the same flavour. 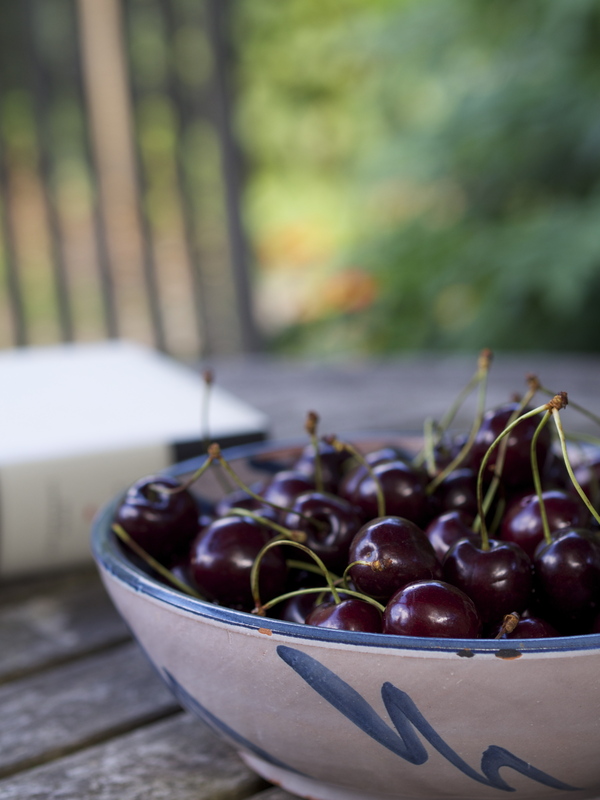 Ditto the finest local cherries (Kentish cherries are justifiably world famous), gooseberries and early raspberries. A favourite way to serve raspberries, cherries and strawberries is to crush them slightly, sprinkle with a little Kentish cherry brandy or Italian vin santo and sugar then leave to macerate for an hour. Serve spooned over vanilla ice cream. Spring lamb is now at its very finest now and a boned-out shoulder or leg is perfect on the barbecue or simply roasted and served with baby new potatoes and minted broad beans and peas. On the fish front it’s really has to be mackerel – bought silvery fresh from the market and cooked the same day to enjoy at its very best. Try it the traditional way for the month – grilled and served with a tart gooseberry sauce. Also good this month are lobster, plaice, sardines and clams. A perfect June supper in the garden…..
One of my favourite and easiest summer suppers must be one of the simplest – and all sourced from my local market. I’ll start by handing round a plate of sliced local chorizo, olives and cubed Lord of the Hundreds cheese with small glasses of chilled Manzanilla sherry (ok not local but you can buy a very good version from The Goods Shed in Canterbury – if not I’ll be serving the good old Ortega from Biddenden yet again!). 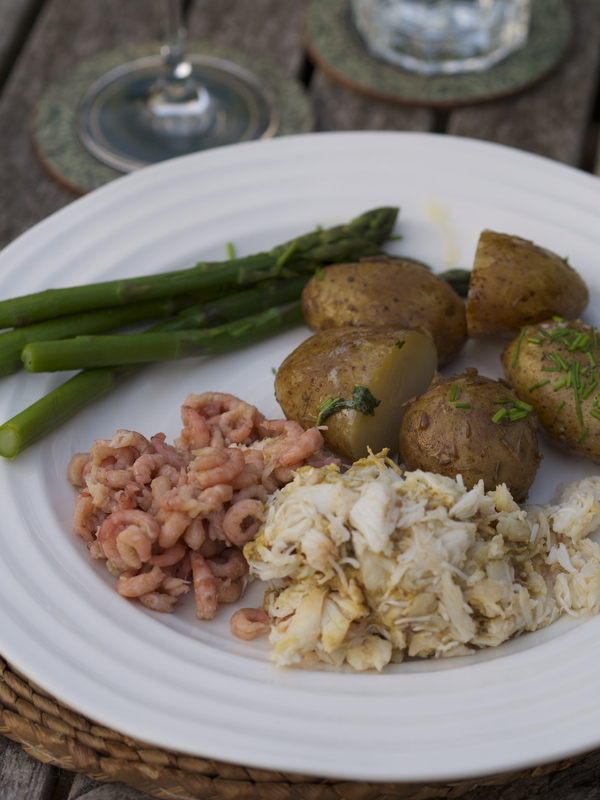 Then on to Botterell’s luscious Dressed crab and perfect little shrimps served with Jersey royals and steamed asparagus and a large dollop of homemade mayonnaise made with PureKent rapeseed oil. A glass of chilled Muscadet and I am a happy woman. 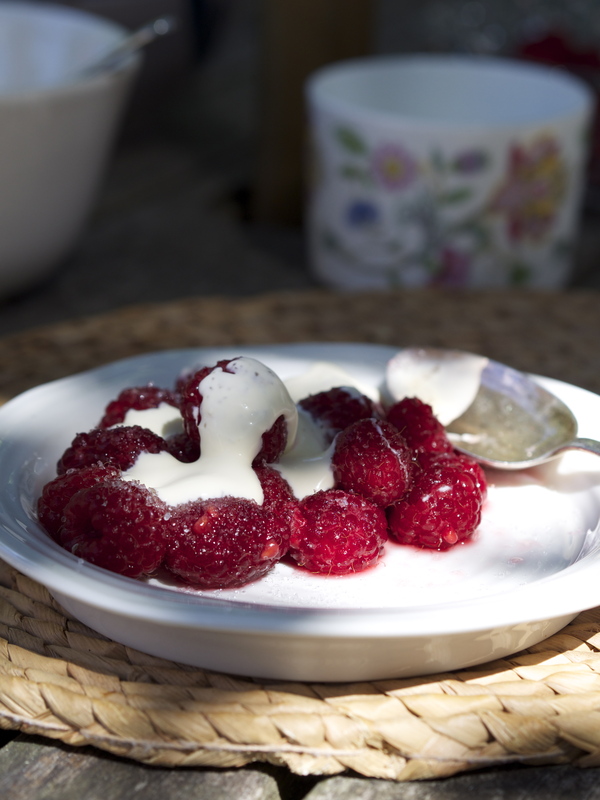 Finish the meal with fresh raspberries, crushed meringues and lovely thick Kent cream and maybe a dusting of sugar. Sit and enjoy the sounds of the summer evening knowing you have little in the way of washing up! This entry was posted in Farmers Market, In season, Kent, Local food and tagged Asparagus, dine thyme, dressed crab, Kent farmers markets. Bookmark the permalink.